Our Brisbane customers love us! I booked a monthly clean with initial deep clean and was very happy with the result. Would like to have the same cleaner again next time. Thanks! If you think GOOD help is hard to come by in Brisbane, GREAT help is staring right at you! Simply Maid is your one-stop, go-to cleaning service for all home-related cleaning needs. We are nothing like the average cleaning company that offers subpar cleaning results for extravagant rates. No, Simply Maid is a team of highly qualified and skilled cleaners with the experience and knowhow to outshine the competition (literally!) We specialise in cleaning homes of all sizes, types and conditions across Brisbane. So, whether you rent an apartment in one of Queen Street’s high-rise residential buildings or own a lavish condo in Chelmer, Simply Maid offers you exceptional home cleaning services at great rates! For many homeowners in Brisbane, Queensland, having a trustworthy, reliable and efficient cleaning service around the corner is quickly becoming the need of the hour. With busy schedules and family responsibilities, household cleaning is forced to take a backseat. Nevertheless, there is no longer a reason to let your home suffer for your lack of time or energy to clean it because Simply Maid is just a booking away! We find it highly rewarding and satisfying to please customers with spotless results that one could only wish for! Unlike most professional cleaning services, Simply Maid cleaners are all about perfection when it comes to their jobs. By paying minute attention to detail, we will give your home a cleaning haul like never before and leave it immaculate! Don’t worry about timings or schedules because we offer flexible cleaning schedules to work at your convenience. What’s more, our cleaning team works in a timely and professional manner so you never have to worry about running late because we’ll be out the door before you are! When we say that anything less than immaculate cleaning results are not acceptable by our standards (or yours, for that matter), we mean it! Our A-grade home cleaning services are owed to a number of things; these include quality, in terms of products and tools used, as well as the determination, experience and skill of our trusty cleaners. Child-safe and pet-friendly cleaning products are always used, along with top of the line equipment, operated by a highly trained and professional cleaning staff. We understand the importance of living up to our customers’ expectations when they put their trust in us and hence, would never do anything to let them down. 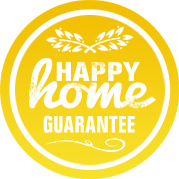 When you hire a cleaning with Simply Maid, you can rest assured that the safety of your beautiful Brisbane home and family are never at risk. We continually take measures to ensure that our cleaners live up to the high safety and quality standards we have in place here at Simply Maid. From the very outset, we have carried out our business endeavours with one particular goal firmly in mind; to be Brisbane’s most trustworthy and efficient family cleaning service around! In order to achieve this, we conduct stringent hiring processes that allow us to carefully select the best of the best cleaners! Each of our employees has been put through a rigid screening process, interviewed and tested for their cleaning skills and abilities. Needless to say, they breezed through the hiring process and till date, have been well-received by homeowners across Brisbane. Apart from this, Simply Maid cleaners are insured and bonded and maintain wonderful relationships with our loyal customers who can’t help but praise them for the awesome cleaning results they provide! Friendly, cooperative, kind and extremely efficient; you can rest assured that Simply Maid’s cleaning staff will delight and impress you like no other! 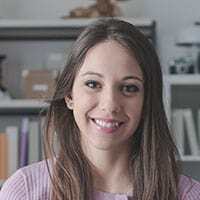 Upsells, hidden costs, never-ending terms and conditions and the likes; these are some of the factors that discourage homeowners in desperate need of a cleaning service to opt against hiring one. Well, we don’t blame you! The whole idea of hiring a trusted maid service is to make your home life easier, pleasant and more convenient. To say that Simply Maid excels at doing all of that, and more, is an understatement! It all begins with a seamless booking process that requires 60 seconds of your time to complete. All you need to do is fill out a few mandatory fields, select the cleaning services you desire and a convenient time for our cleaners to stop by! As we mentioned earlier, we cover all areas of home cleaning at affordable rates! Our fees are fixed in accordance to the number of bedrooms and bathrooms to be cleaned, or by the hour. Simply Maid is available for bi-weekly, weekly, monthly or one-time cleanups. For your pre- party, post-party, move-in and move-out cleaning, Simply Maid guarantees to blow you away with our efforts and fantastic cleaning results! What’s more, we offer a free do-over cleaning to homeowners who are unsatisfied with our service the first time around! As the capital city of Queensland, Brisbane certainly lives up to the high expectations of locals and tourists alike. 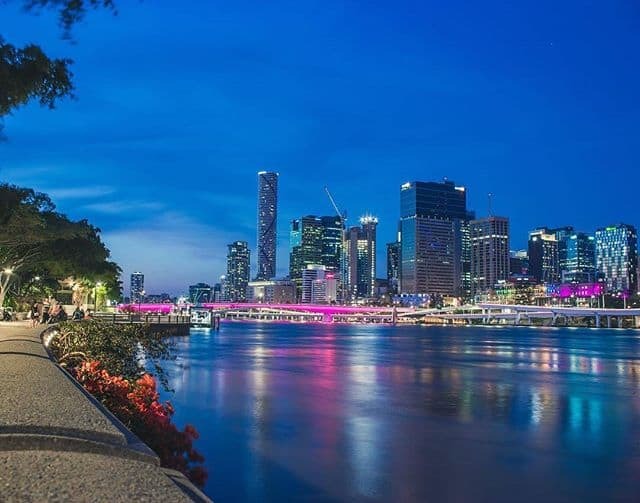 Although it is the most populated city in the state with over 2.3M residents, locals of Brisbane are well looked after and entertained with major sporting events, live theatre, cultural events, music concerts/festivals and a lot more happening here in “Bris Vegas". There truly is something for everyone in this beautiful southeast city of Queensland; for art fanatics, the Gallery of Modern Art is the biggest of its kind in Australia and hosts large shows and grand exhibitions, while the Queensland Performing Arts Centre in South Bank keeps enthusiasts of opera, ballet, classical music and live theatre thoroughly entertained. Some of the many points of interest, particularly for tourists, include City Botanic Gardens, Roma Street Parkland, Portside Wharf and Lone Pine Koala Sanctuary. The amenities offered by the city, combined with gorgeous housing and stunning views of the Story Bridge over Brisbane River make it an irreplaceable home for those who are lucky to live here.